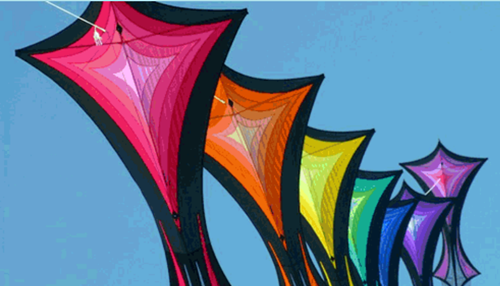 This Saturday is the annual Kids & Kites Festival at Cricket Hill (immediately northeast of Lake Shore Drive and Montrose). It runs from 10am to 4pm, and features kite kits for children to make, face painting, balloon art, and crafts. This year there will be demonstrations by the Windjammers International Kite Team, professional synchronized kite flyers, and the ever-popular Big Kite Candy Drop (weather permitting). With the weather this week being what it is, attendees are urged to check for any last minute changes including cancellation due to unsafe weather conditions. You may do so by checking DCASE's Facebook or Twitter, or by calling 3-1-1.